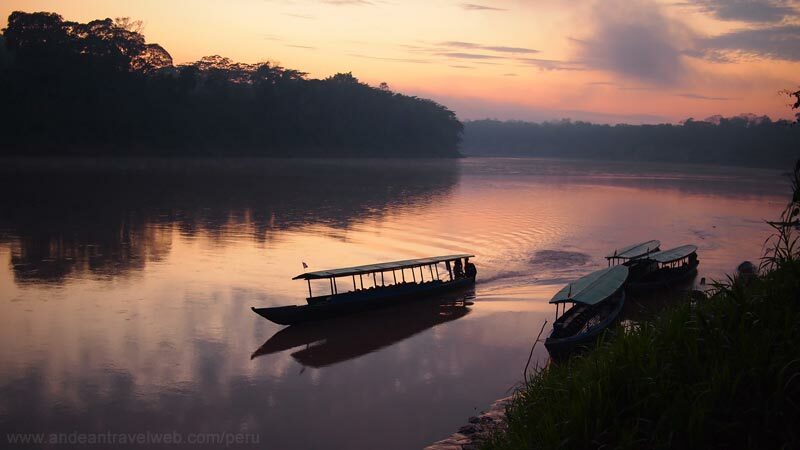 Puerto Maldonado is a jungle city in the Amazon rainforest 55 km west of the Bolivian border and located at the confluence of the Tambopata and Madre de Dios Rivers. The chief industries in Puerto Maldonado are eco-tourism and related boat construction as well as small-scale gold mining, logging and brasil nut collecting. 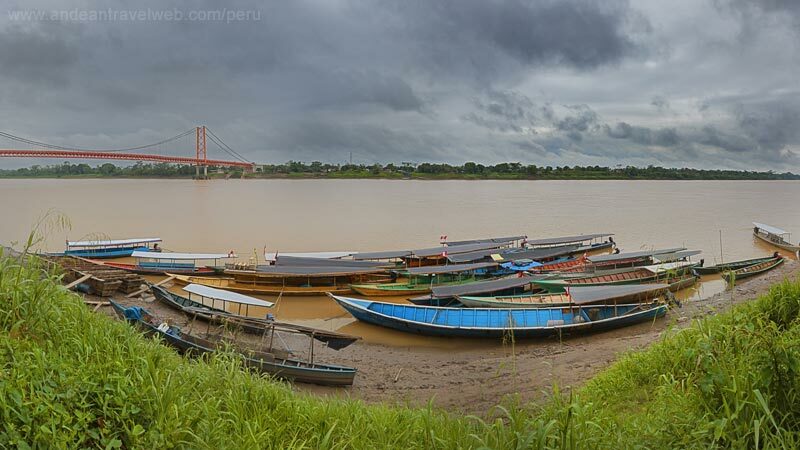 Puerto Maldonado is the main gateway to the Peruvian Amazon. Nearby are the Manu National Park, Tambopata National Reserve and the Bahuaja-Sonene National Park which have been established to protect these incredible natural resources. They are home to some of the most pristine primary rainforest in the world. Although there is a newly built road (the Carretera Interoceanica) connecting Puerto Maldonado to Cusco to the west and Brasil to east travelling this route by bus is a long and adventurous journey especially during the wet season (Dec-Mar) when there are frequent delays and road closures. Most people visitors fly to Puerto Maldonado from Cusco and already have a rainforest lodge booked well in advance which is what we would recommend. Puerto Maldonado is served by Padre Aldamiz International Airport which is situated about 6km out of town. Lake Sandoval is an idyllic jungle lake situated east of Puerto Madonado. It's a 2 hour boat trip down the Madre de Dios River from Puerto Maldonado followed by a 3 km hike to the lake. Lake Sandoval offers some excellent wildlife watching opportunities with the endangered giant river otters being one of the star attractions (early morning is best). With luck you can also see turtles, caimen, monkeys and plenty of exotic birds. To visit the lake you'll need to pay the Tambopata Reserve entrance fee which costscost S/.30 for the day or S/.65 for a 2-3 day visit. 2 hours by boat down the Madre de Dios, 3 km hike to Lake Sandoval, 30 min by canoe across the lake. Book through InkaNatura www.inkanatura.com offer a 3 day / 2 night tour. The Rio Heath orginates in the Andean mountains to the north of Lake Titicaca and flows north to the Madre de Dios River. Rio Heath joins Madre de Dios at Puerto Heath on the frontier with Bolivia which is about 4 hours by boat from Puerto Maldonado. About 6 hours by boat from Puerto Maldonado (4 hours down the Madre de Dios followed by 2 hours up the Heath River. Book through InkaNatura www.inkanatura.com Usually combined with a night at the Sandoval Lake Lodge to break up the long boat ride.